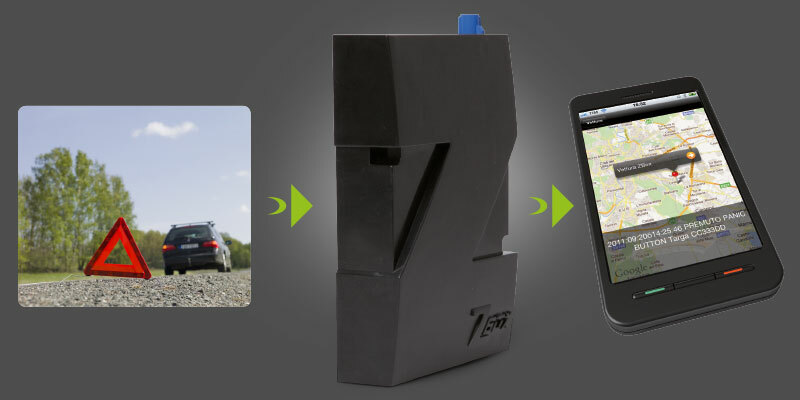 z-box is the primary device for vehicles in order to support the rivolutionary safe system. Maintaining maximum privacy, it increases safety on the road. 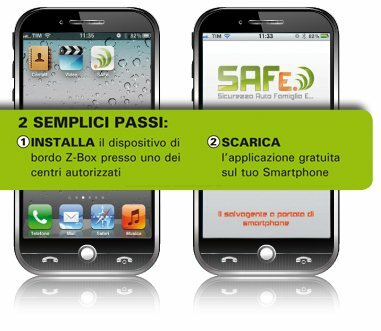 A lifesaver automatically starts in case of accident or request for help, sendig a sms message to a preset phone number and indicating the place for rescue or assistance. In case of need, the following message appears on your configured mobile phone. Thanks to z-box, the intervention can be immediate. Integration with Can-Bus signal of the vehicle allows the acquisition of the different information on board, as the fuel level, odometric signal and other customizable information due to the single need. In case of accident, the device memorize the accelerometric chronicle inside the driving archive. It is possible to enter the archive in remotely or, locally, through a serial link.